I had two very nice moments this week, both related to my genealogy although they weren't exactly finds. Thanks to Cheri Hudson Passey, though, I am remembering to be grateful for these moments and celebrate them. Earlier this week I noticed a new comment left here on a recent post by a woman who is not a cousin. I'm not even sure of her name because she didn't leave any contact info. But I did share her comment with friends and family as excitedly as if she had been a cousin. Her comment related to an old post where she had seen a familiar name. I spent many Mondays last year transcribing my grandfather Matthews' story in twenty some Amanuensis Monday posts. He had written about three fortuitous happenings in his life that sent it on its eventual course. 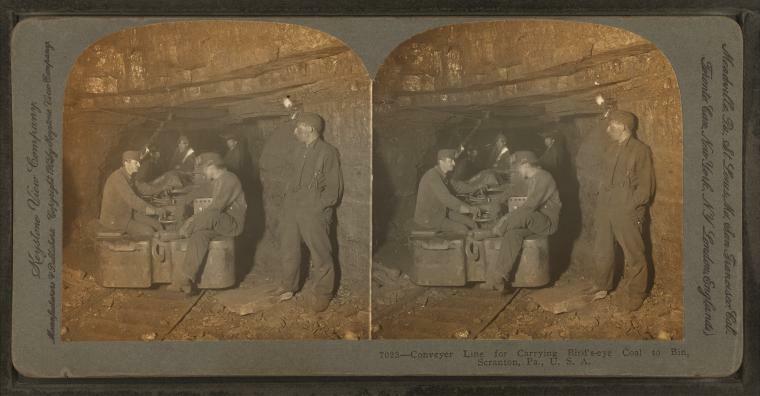 Forced to leave high school and take a job after his father's death, my grandfather decided to take an underground job in a local coal mine because those underground jobs paid better. After a gas explosion and later a roof collapse that they both survived, Malachi Glennon, one of my grandfather's supervisors, advised my grandfather to get out of the mines, before he was "kilt". My grandfather felt and I agree that Malachi's advice, and my grandfather's decision to act on it, were some of the best things that ever happened to him. The great-granddaughter of Malachi's brother left the lovely comment on my blog last week, grateful for those little details of the time my grandfather and Malachi worked together and the story of Malachi's influence on my grandfather's life. It is those lovely details, the ones that flesh out someone we never knew in life, that make them come to life for us. Being able to provide that for someone just made my day. The second bit of excitement was also related to my grandfather Matthews. Two years ago or so I stumbled across an image of him while doing a random Google search. He spent four years at the Oriental Institute at the University of Chicago, and I had stumbled on an image from the University's archives. It showed my grandfather presenting the Institute's 500,000th visitor with a 1,500-year-old oil lamp. A nice find. You can see it here. I follow the Institute on Facebook and logged-on yesterday during a break at work. There at the top of my feed was the same image posted by them for ThrowBack Thursday! It was a very cool moment, even if I had seen the image before. No brick walls were broken through this week, no new family artifacts were discovered, no new record sets provided new insights, but these two things made it a very cool week.